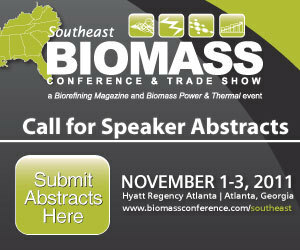 The Coalition for Biomass Energy for MASS aims to convince Gov. Deval Patrick and the state legislature that biomass in the form of construction and demolition waste, forest residues and other materials, should be used in-state to produce energy. A central Illinois company proposing to supply miscanthus as a fuel source to a power plant in the state is anxiously waiting to hear whether it has qualified as a Biomass Crop Assistance Program project area. MeadWestvaco Corp. has proposed a $285 million infrastructure upgrade at its Covington, Va., facility, replacing two old and less efficient units at its mill with a new biomass boiler and a 75-megawatt steam turbine generator. Developer Palmer Renewable Energy sues Springfield, Mass., after the City Council voted to revoke its special permit to build a 35-megawatt, wood-chip fueled biomass facility. The permit had been issued a full three years ago. Although it had already announced in February that it would allow a reconsideration period for certain aspects of the MACT rules, the EPA on June 24 released for the first time a deadline for that reconsideration of October. 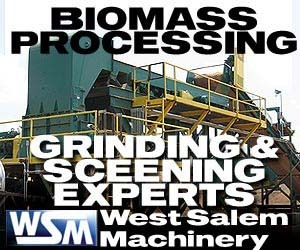 The Biomass Thermal Energy Council held a free webinar on June 29 titled Biomass Thermal Finance: Options, Steps and Resources for Biomass Project Development and featured three presenters with experience in financing biomass projects. The Florida Public Service Commission has approved construction of a $600 million waste-to-energy plant that will be co-located with the Palm Beach County Solid Waste Authority's existing 63-megawatt (MW) facility. The Gainesville Renewable Energy Center, a 100-megawatt biomass power plant located in Gainesville, Fla., has successfully raised nearly $500 million in construction financing. Construction began in March 2011, and completion is expected in 2013. The Biomass Power Association congratulates Placer County (Calif.) Air Pollution Control District and biomass facility Sierra Pacific Industries for being selected by the U.S. EPA for a 2010 Clean Air Excellence Award.